ROUND DINING TABLE AMELIA 48" SMOKE - Introducing a very traditional antique French table with an industrial metal top, which is the very thing Peninsula does so well. The unexpected eclectic twist of the raw metal top somehow compliments its counterpart in a harmonious way. 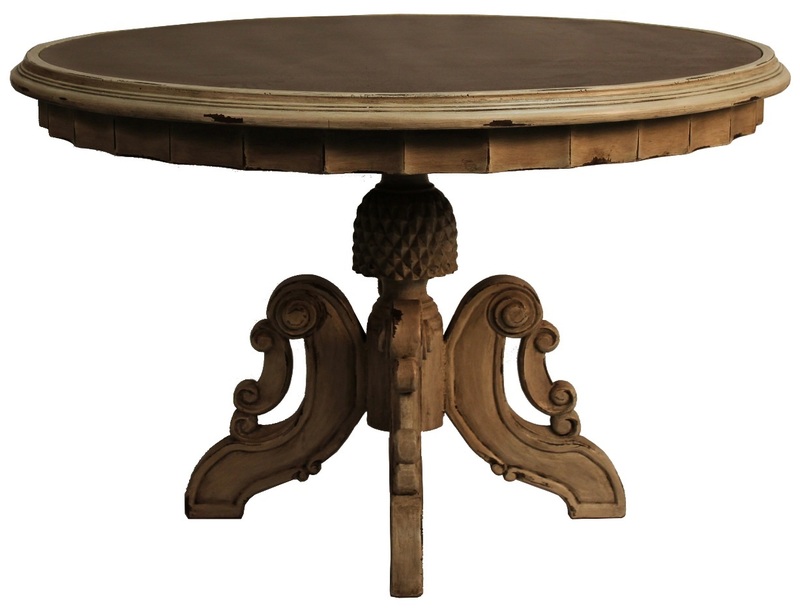 One of the most intricate details on this dining table is the iconic carved apron that runs along the circumference of the top, and the hand painted antiqued finish accentuates the sweet little details in the wood. W 48" x H 30" x Depth 48"